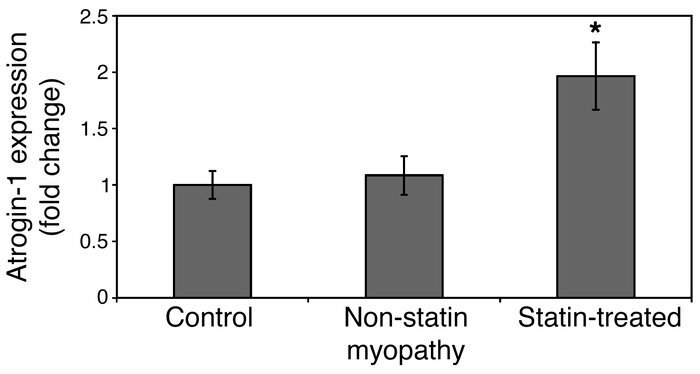 Atrogin-1 is induced in human biopsy samples from patients with statin-induced muscle injury. Total RNA was extracted from human quadriceps muscle biopsies, and atrogin-1 mRNA was quantitated by real-time PCR as described in Methods. *P = 0.017, difference between groups by 1-way ANOVA.